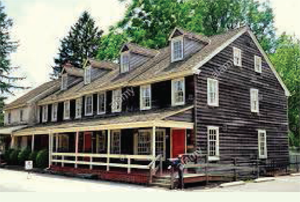 Join us on Friday, May 10th for our General Meeting at The Inn Keepers Kitchen at Dilworthtown Inn in West Chester. This is a premium dining experience! It is renowned for its exquisite cuisine. The night promises to be a wonderful event for our members to enjoy. dentists practicing less than 10 years. Reserve soon. Space is limited and will be made on a first come, first serve basis. November 14th at CVIM in West Chester! Member and CVIM volunteer Tami Brady was part of a great team of assistants, hygienists, hygiene students, and CVIM dentists Anna Rossis & Pete Thompson, as well as member John Radomile who brought his wife, hygienist LuAnn Radomile, and assistant Jennifer Swan. Dr. Michael Walker graciously provided surgical care for a veteran who needed his expertise during GVAS. Dr. Jim Gustainis helped a veteran referred through the Donated Dental Services program earlier in the fall. Three members (who weren’t able to join us on 11/14) have volunteered to Adopt a Vet – we are matching three fortunate veterans with Drs. Ken Fetter, Chris Hussin, and Haddy Alrez! MTI rep Erica Wilson provided lots of handpieces and prophy angles & supplies – thank you, Erica!! 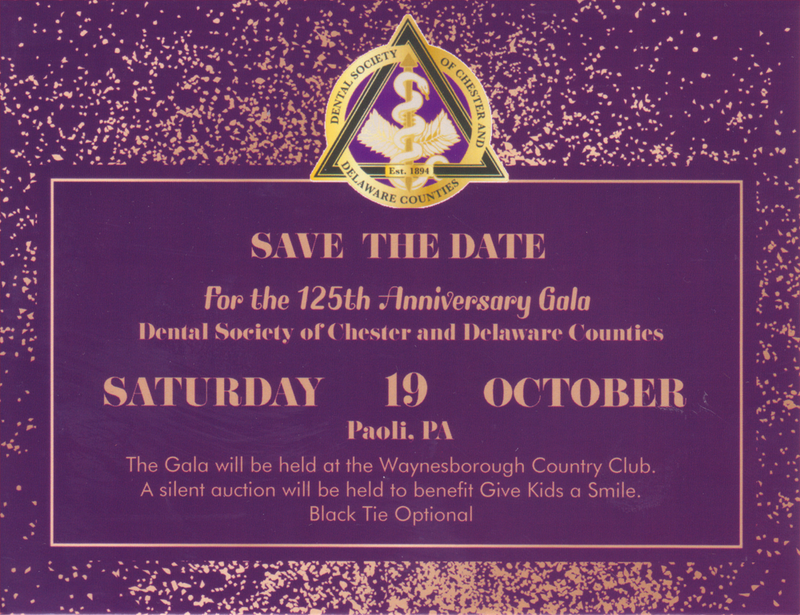 The DENTAL SOCIETY OF CHESTER COUNTY AND DELAWARE COUNTY is a non-profit corporation, organized in 1959 under the laws of the Commonwealth of Pennsylvania to encourage the improvement of the health of the public, to promote the art and science of dentistry and to represent the interests of the members of the dental profession and the public which it serves. The territory of the jurisdiction of this Society consists of the counties of Chester and Delaware, Pennsylvania, and such contiguous areas within Second District established by mutual agreement with other local societies of the Second District Valley Forge Dental Association. The membership of this Society consists of duly elected, lawfully registered, ethical dentists whose qualifications and classifications are established in the Bylaws of this Society. The DENTAL SOCIETY OF CHESTER COUNTY AND DELAWARE COUNTY conducts bimonthly governing and DENTISTS KEEPING UP (DKU), a continuing education program designed for both dentists and staff. All members are welcomed and encouraged to participate in these meetings. Dates and locations for the meetings can be found on Dentist/Upcoming Meetings and DKU links. 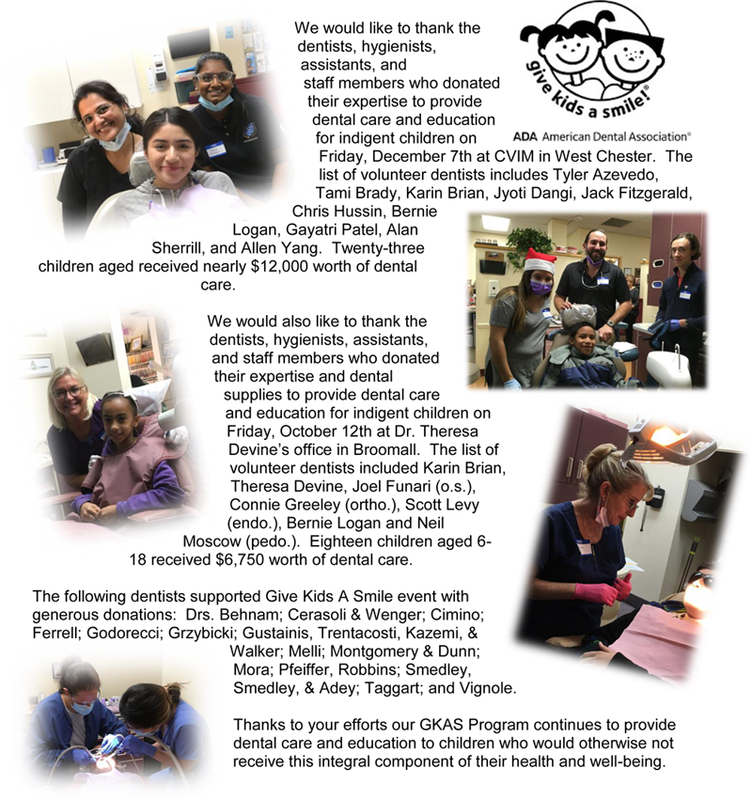 The DENTAL SOCIETY OF CHESTER COUNTY AND DELAWARE COUNTY sponsors Give Kids a Smile (GKAS), the local extension of the American Dental Association's major oral health outreach program, launched to encourage parents, health professionals and policymakers to address this important health issue. 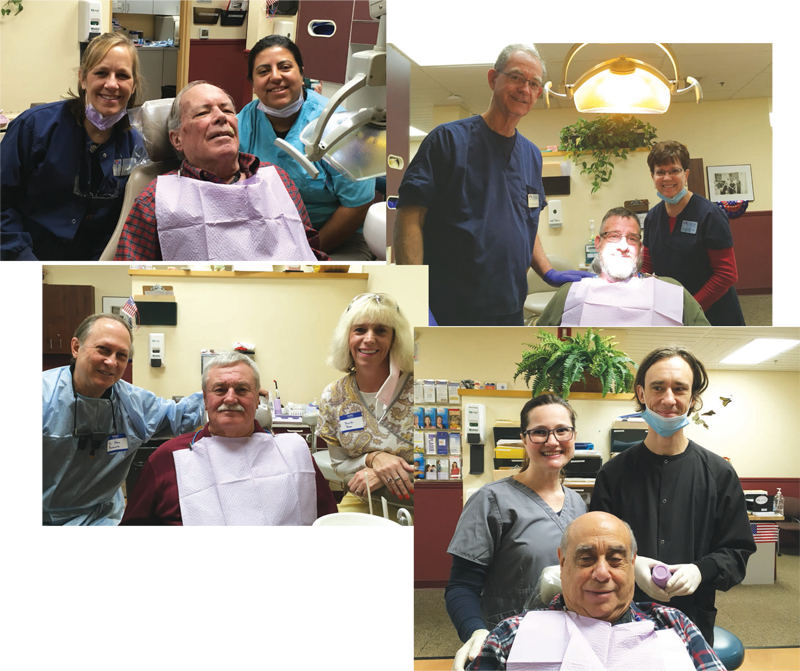 Give Vets a Smile Day (GVAS) is the newest program sponsored by the Society to provide service to the community. Through a partnership with the Chester County Department of Veterans Services, GVAS aims to provide dental care and dental homes for local veterans. Further information on these programs is located under the appropriate tabs on this web site.